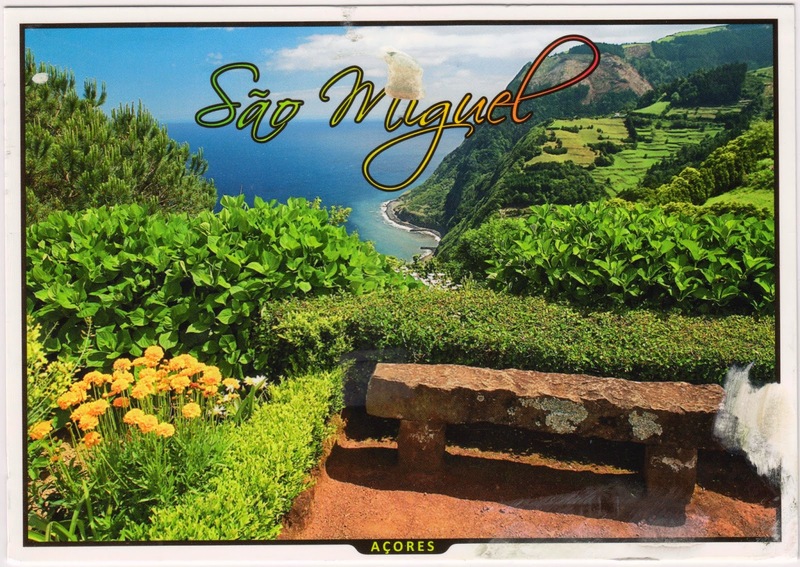 Postcard PT-357733 from Portugal shows São Miguel Island, named for Saint Michael, the largest and most populous island in the Portuguese archipelago of the Azores. Also referred as "the Green Island," it has a Special Protection Area containing the largest remnant of laurisilva forest on the island, habitat to the endemic and critically endangered bird, the Azores Bullfinch. It is also the hometown of Pauleta (Pedro Miguel Carreiro Resendes, born April 28, 1973), a football player for the Portuguese National Team. Pauleta scored 47 goals in 88 matches for Portugal, a national record at the time of his retirement. He played in two World Cups and two European Championships. In a Group G match against the United States during the 2014 FIFA World Cup at Arena Amazonia in Manaus, Brazil today, Silvestre Varela of the Portuguese National Team scored his team's second goal in the last minute, keeping Portugal alive with a 2:2 draw on June 22, 2014.